As you can see from the picture, my opinions were about to be changed. That is the picture of a PWE that was supposed to have a card that I paid for. 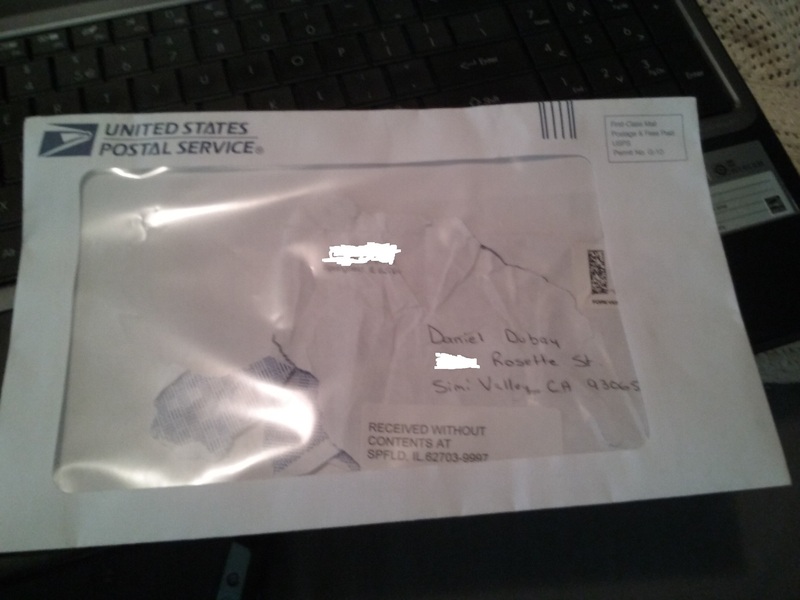 The card was missing because the envelope got so damaged during the shipping process. Thankfully the seller refunded my money when I sent him the picture, all $2 of it for a Greg Monroe jersey card. This got me thinking, what can be done if you ship a card in a PWE. (Full disclosure, when I run contests in the near future, I will be shipping the cards in a PWE, unless the winner wants to pay for a bubble mailer.) In the past, I always wrapped the cards in a piece of paper but I know that is not enough. The best answer that I could come up with, would be to wrap the majority of the envelope in clear tape. This would allow for the address area to be still be legible and you can make it not get in the way of machines reading the stamp. If anyone has a better way to improve shipping in PWEs, I am all ears and would love to hear suggestions-snarky comments about well just use a bubble mailer will be ignored.